Green Mountain Adventures is proud to present the 11th Annual Otter Creek Classic Opening Day Fly Fishing Tournament (OCC11). This is a fly fishing, catch and release “paper tournament”. 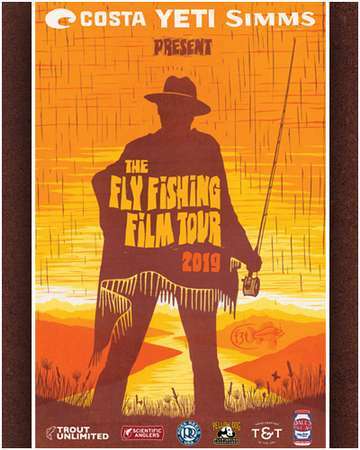 All proceeds from this year’s event will be donated to the Green Mountain Chapter of Project Healing Waters, supporting their mission dedicated to the physical and emotional rehabilitation of disabled veterans through fly fishing. 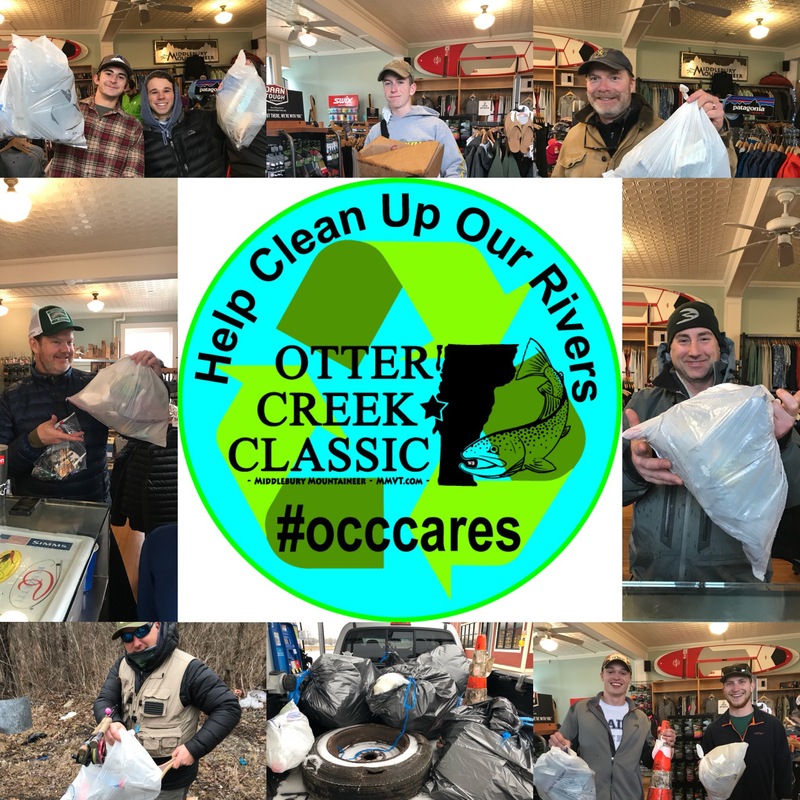 In the Otter Creek Classic’s first 10 years, the event has raised more than $20,000 for local educational and conservation organizations. The purpose of this event is to promote community and conservation of our local resources. Through this event we hope to bring awareness and support to local organizations, to continue their mission of conservation and education. Most importantly, it is to have fun at the start of another season. We have some great sponsors and will be giving out prizes for the winning anglers and door prizes to all event participants. A post event Award Ceremony and BBQ will be taking place locally. The location will be announced when competitors check in after the tournament on Sunday. We hope you will be able join us for this event. Bring a friend or family member. It's all for a good cause. Your registration automatically enters you into the group raffle where a majority of the prizes are distributed to ANY and ALL who participate. This is about the most fun way to make a donation to Project Healing Waters Fly Fishing. Please read the rules and guidelines below regarding this event before you register. Green Mountain Adventures (GMA) is proud to present the 11th Annual Otter Creek Classic (OCC11) Fly Fishing Event. This is a catch and release, fly fishing only, event. All profits from the OCC11 are donated to Project Healing Waters for local conservation and education programs. We are extremely honored and proud to be celebrating 11 years and have worked to make the OCC11 an event to remember. Competitors that pre-register will receive an OCC11 commemorative gift. New Haven River, Middelbury River, Neshobe River, Furnace Brook, Mill Brook, Clairedon River, Cold River and Otter Creek. Otter Creek upstream boundary is Brooklyn Rd Bridge in Mt Tabor, lower Boundary is approximately 100 yards below Vergennes Dam. This is a trout tournament, Brown Trout, Rainbow Trout and Brook trout are the only fish that will be counted on your score. 1” = 1 point .5” increments, rounding up in between. NEW “TRASH” RULE: Each competitor that fills the supplied bag with trash collected on the river will receive 5 points (a maximum of 5 points will be allotted per angler for the tournament). The F3T will be held in Middlebury, VT on Friday April 12th at the Dana Auditorium on the Middlebury College Campus. Doors open at 6:30PM and the show starts promptly at 7PM. Tickets will be $15 online and $17 at the door. This is a sell out event every year so make sure to get your tickets well in advance. A raffle will be held at intermission with some amazing prizes from our vendors including Simms, Yeti, Montana Fly Company, and Patagonia. All profits from the event will go to Project Healing Waters for watershed conservation and free to the public educational programs. For information please contact Steven at Green Mountain Adventures, 802-388-7245 or info@mmvt.com.